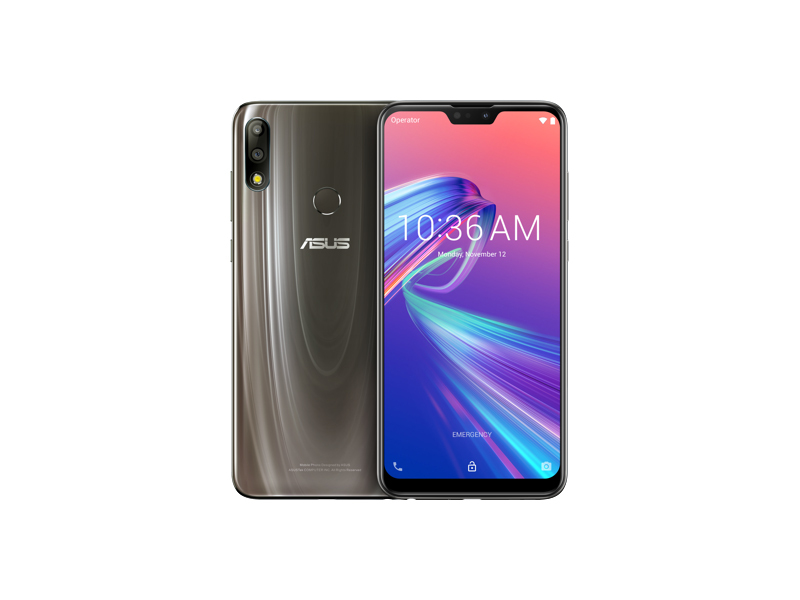 The Zenfone Max Pro M2’s great entertainment focused system with improved display technology and superb speaker system is unparalleled when compared to any smartphones in this price range. If you enjoy using your smartphone to watch movies or just to browse YouTube, the Zenfone Max Pro M2 is a good choice. In terms of performance, we found that the Zenfone Max Pro M2’s was slightly faster than the HONOR 10 Lite, but this does not justify the additional $S60 price tag. If you are willing to spend this extra money for a all-rounder in this price range, the Zenfone Max Pro M2 will be a good choice. Last year, Asus made a comeback in India. It had been a while since the company launched a smartphone there. Once a decent mid-segment player, the company lost the plot trying to compete with stiff competition from several Chinese players. Overall, the ASUS Zenfone Max Pro M2 is a good upgrade to the Max Pro M1 when is comes to performance and camera at an additional cost of Rs. 2000 compared to the predecessor. Even though this doesn’t have the same metal build, the design looks attractive. However, it misses out on the USB Type-C port and fast charging once again. If you are looking for a smartphone with good battery life and performance in the price range, the Zenfone Max Pro M2 at a starting price of Rs. 12999 is definitely a good choice. The phone is available exclusively from Flipkart. You can probably tell by now that the ZenFone Max Pro M2 has a towering lead when it comes to battery size and as mentioned before, that is indeed its biggest feature. If battery life is all that matters to you, then the ZenFone Max Pro M2 is your best bet, and you won't be making any major compromises in other areas with it. However, if you want a better camera, or more powerful performance, or more feature-rich software experience, there are a lot of other choices out there, which are worth considering. I honestly didn't want to be harsh on this phone but facts are facts. I personally think ASUS might have shot themselves in the foot for "rushing" this too soon (the predecessor was only released back in July 2018) due to competition which is understandable. If anything, the price tag itself is still a good reason to get the phone, but not so much for gaming purpose. Just my two cents. There’s no doubt that Asus Zenfone Max Pro (M2) builds on the success of its earlier variant. The starting price is Rs 12,999 for the 3GB RAM option, though we had the 4GB RAM option for review. Asus is also offering a 6GB RAM variant at Rs 16,999 for those who are interested. Priced at Rs 14,999 for the 4GB RAM/64GB storage variant, the Asus Zenfone Max Pro M2 has more than cosmetic upgrades over predecessor Zenfone Max Pro M1. Except for camera performance, where it delivers better results than the Nokia 6.1 Plus and Realme 2 Pro but fails to match the output of the Xiaomi Redmi Note 6 Pro, the M2 beats most smartphones in its segment. However, the phone would turn out to be a complete package only if its imaging output is improved through future software upgrades. Still, at Rs 12,999 for 3 GB/ 32 GB, Rs 14,999 for 4 GB/ 64 GB and Rs 16,999 for the 6 GB/ 64 GB variants, the Zenfone Max Pro M2 is very competitively priced. However, it faces a lot of competition and some would say it does not feel as irresistible a deal as the M1 had (it started at Rs 10,999), especially considering that the Redmi Note 6 Pro starts at Rs 13,999 for the 4 GB/ 64 GB variant, and comes with better cameras and software. There are also the likes of the Realme 2 Pro, the Honor 8X and the Nokia 6.1 Plus which match it in terms of style quotient. The Pro M2 thus has a much tougher path to navigate than its predecessor did. That said, it is one of the best blends of style and substance we have seen at its price point. If the camera is not very critical for you, and you can put up with a slightly old flavor of Android (albeit a very clean one), this is, as they like to say in Hollywood, a contender. The ZenFone Max Pro (M2) is the first ZenFone to use the eye-catching Wave finish — a dynamic optical finish exquisitely created using a glossy 16-layer coating — that looks beautiful from every angle, showing an ever-changing interplay of light and shade. The 3D-curved rear design is not only comfortable to hold, but also gives it a truly luxurious look, and even with all its new upgrades the phone is still superbly slim. The Asus Zenfone Max Pro M2 has all the elements of a reliable, powerful mid-ranger. It's for those who want a steady performer that can both handle the daily tasks and heavy gaming and lasts long thanks to a massive 5,000mAh battery. It's also a good device to stream videos on. However, the Zenfone Max Pro M2 doesn't have the best camera on offer in that price range. It also has clean stock Android UI which may not ring well with fans of custom launchers like MIUI or ColorOS. Read the review below to find out how the Asus Zenfone Max Pro M2 square up against its rivals. Asus Zenfone Max Pro M2 Review: Performance will not disappoint you! The Asus Zenfone Max Pro M2 is surely an upgrade to the Zenfone Max Pro M1. The smartphone comes loaded with a new design language and the performance is better as compared to its predecessor. The battery is impressive and the user interface is clean. The cameras could have been better and there is no option to hide the notch. Overall, if you looking to buy a new smartphone and your budget is around Rs 15,000 then this can be considered as a good option. For a phone that starts at Rs 12,999, the Asus Zenfone Max Pro M2 is by far the most well-rounded smartphone you can get your hands on. Barring camera performance, where the Redmi Note 6 Pro beats it, the phone outclasses and outlasts every other phone under Rs 15,000, making it a great all-rounder with best in class battery life. The overall experience with the Zenfone Max Pro M2 has been absolutely great. From camera to day-long battery, Asus’ latest handset gets most of the things right for its price point. If you’re looking for a phone under Rs 16,000 in India, Asus’ Max Pro M2 is definitely worth considering. The specs are pretty good, price is too good, design is awesome, camera quality is excellent and battery life is awesome. A really good buy for price starting from Rs. 12,999. If you are not a gaming user you can go with 3GB/32GB variant. I think the Zenfone Max Pro M2 is a fantastic phone. It's just that when compared to the likes of the Nokia 6.1 Plus, Xiaomi Mi A2 and Redmi Note 6 Pro, it is not an all-out winner. It's as good as what the other companies offer, not more not less. Just like other phones in the market, it has its strong points, and it has some parts that could have been better. For example, it has better hardware than the Nokia 6.1 Plus, but not the better design or the Android 9 Pie. In terms of camera, I believe the Redmi Note 6 Pro is better, but then the Zenfone Max Pro M2 comes with stock Android (a big advantage, I will say) as well as a better battery life. The Asus ZenFone Max Pro M2 has some big shoes to fill, as it predecessor, the ZenFone Max Pro M1 has been a strong presence in this segment. Asus has definitely got our attention by giving this phone a powerful Qualcomm Snapdragon 660 SoC and a big 5000mAh battery. ASUS' ZenFone Max Pro M2 has a Snapdragon 660, 5000mAh battery, and Full HD+ display for just S$349! The Max M2 will be available in Midnight Black in January exclusively online at ASUS stores on Lazada, Qoo10 and Shopee for S$239. The ASUS ZenFone Max Pro M2 is another phone that is competing for a slice of the mid-dange pie. It’s been marketed pretty aggressively as a competitor to the Realme 2 Pro that was released not too long ago, so it will be interesting to see if it stands up to its claims. We would really love to put it through its paces as well, given the opportunity. Asus Zenfone Max Pro M2 Quick Review: A Beefier Battery King! Now, for a quick review, this was already pretty comprehensive and the reasons that we couldn’t call this a full review was because of the pre-release software on the phone plus the fact that, as of writing this article, we don’t know the official price tag of the Max Pro M2 just yet. We’ve heard whispers and have even seen its price released in Russia that amounts to about Php 14,000. Asus Zenfone Max Pro M2 First Impressions: Can it create some ripples in the smartphone market? The Asus Zenfone Max Pro M2 seems to be a pretty interesting device. The phone is equipped with a new design language, which has now become a standard in this price band coupled with some good display. The computing power seems to be competitive and it would be interesting to see whether it will be able to compete with likes of Realme 2 Pro, Xiaomi Redmi Note 6 Pro, and the other Pros from different smartphone manufacturers. The Max Pro M1 was a stellar device, and the Max Pro M2 looks no different from the first impressions. It’s got a beautiful design, very capable innards, and a massive battery. We’ll see how it fares in our comprehensive review. The ASUS ZenFone Max Pro M2 is definitely an upgrade from the half-a-year-old ZenFone Max Pro M1. It provides better performance, cameras, and audio. However, the battery life did not meet our expectations. Given the large capacity, I feel like it should have lasted longer. We hope that this can improve with some software updates. 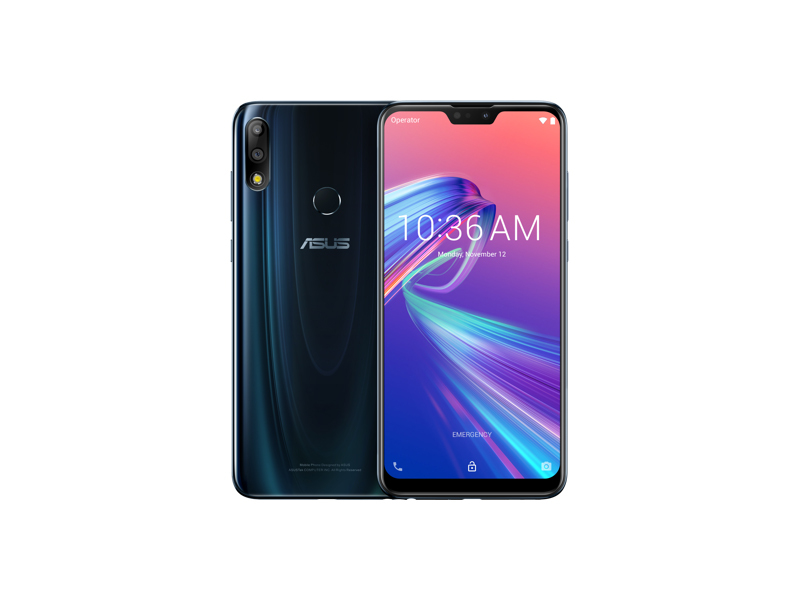 The Asus Zenfone Max Pro M2 brings to the table several desirable enhancements which include a larger notched display, better hardware and one of the largest batteries ever crammed into a smartphone to make it a solid workhorse that’s well worth your consideration. Qualcomm Adreno 512: Estos procesadores gráficos pueden mostrar únicamente juegos antiguos, fluidamente. Juegos actuales pueden ser presentados con detalles sustancialmente reducidos. Veloz SoC ARM de gama media con 8 núcleos de CPU Kryo 260 (cuatro núcleos veloces a 2,2 GHz en un cluster y dos núcleos de 1,8 GHz ahorradores de energía) y una GPU Adreno 512 bastante lenta. Producido en un proceso de 14 nm. 6.26": Solo algunos smartphones tienen pantallas más grandes. Grandes tamaños de pantalla permiten resoluciones más altas. Por tanto, los detalles como letras son más grandes. Por otro lado, el consumo de energía es más bajo con diagonales de pantalla más pequeñas y los aparatos son más pequeños, más livianos y más económicos. 80.4%: Esta evaluación es para ser considerada como promedio, porque la cantidad de portátiles con mejores evaluaciones es casi la misma que la cantidad con evaluaciones peores.